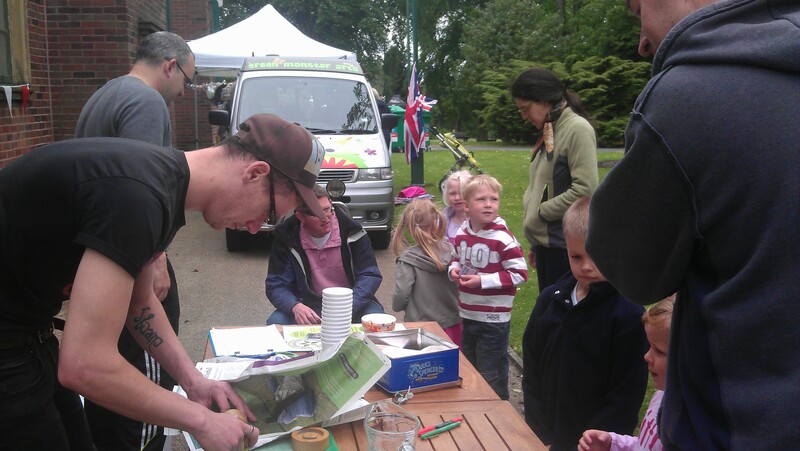 On Tuesday 5th June 2012, Operation Farm were out in force for the Jubilee environment day at Hyde Park, Tameside. Young and old alike were entertained with organic apple pressing and bean and pea growing kit giveaways. We’d like to thank everyone who came along on the day and hope to see you all soon. 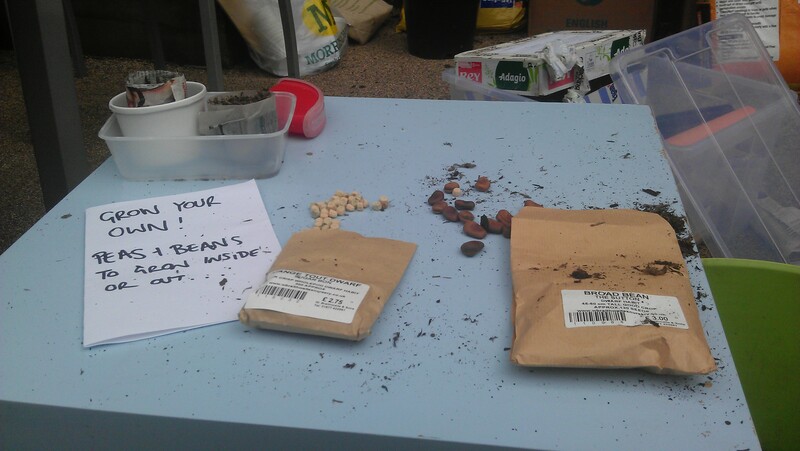 For those who took a pea or a bean, here’s detailed instructions on how to grow them, good luck and send us any pictures of them as they grow! 2. Once 5-6 leaves have formed, plant the plant in its newspaper pot into a large pot/container or plant outside in good soil where it will receive at least 5 hours of sun a day. If using a container or pot should have drainage holes and be a min. 40cm wide and high. Fill with peat-free compost (bought) or a homemade mix of 2 parts garden soil, 1 part home made compost and some sand or perlite mixed in (cheap but non-sterile option so a bit more chance of a disease). As soon as young beans appear at the base of the plant, pinch out the growing tip (at the very top) with two leaves attached to deter blackfly. These can be eaten as a salad green. You can harvest the beans from the plant when they are a finger thick to eat whole, or wait until the pods burst to harvest the beans inside – to use straight way, eat raw or boil alternatively they can be frozen or dried to eat later. These are ready to pick just when the peas start to develop and are about 3 inches long. The outer pod is edible too so eat them whole. They are great steamed or used in stir fries. Alternatively refrigerate or freeze to eat later. We’d love to see a photo of your plant once its got going – send any photos to operationfarm@gmail.com and we can post them to our blog! ← HYDE PARK COMMUNITY ORCHARD NEEDS YOU!